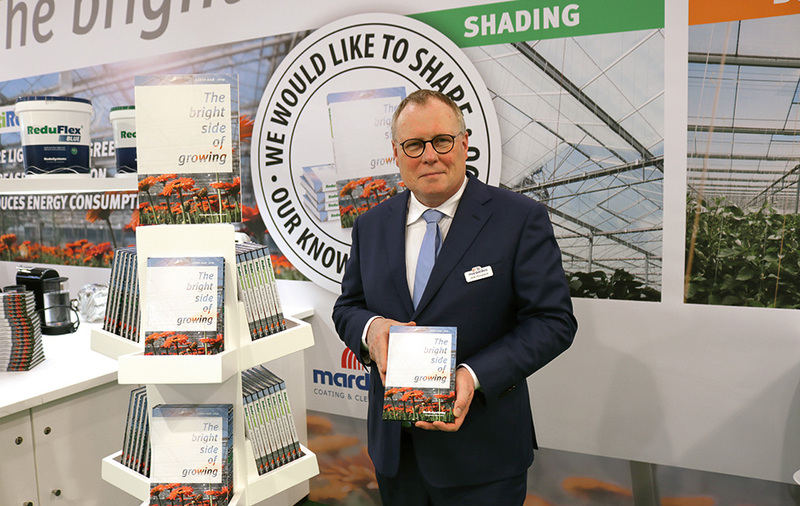 Due to the great success of the first book, Mardenkro publishes a second book called “ReduSystems: The bright side of growing”. This book highlights the new, revolutionary product AntiReflect and explains how this product ensures a light gain of approximately 3% on existing horticultural glass. Mardenkro, known for his ReduSystems products, would like to share its knowledge by publishing a second book. Since the publication of the fi rst book, 2 years ago, a lot has changed within the company. As a specialist in light and heatresistant coatings, Mardenkro is expanding into a product line that enables growers to optimize their greenhouse climate throughout the year. Curious about the technology behind light transmission optimization or other topics regarding improving the greenhouse climate?